Anja Salzer studied Cultural Anthropology and Geography and is holding a Ph.D. in Educational Sciences with a research focus on Central Asia and the South Caucasus. Her specialization is on eco-social change, civil society participation, land-use and degradation and in particular pasture management. Within her transdisciplinary research and practice, she applies action oriented and ethnographic approaches, with qualitative and quantitative methods. She has work experience in the coordination and facilitation of various projects in the field of formal and informal capacity building, networking and knowledge management for universities and civil society, the management of natural resources, global and environmental education, as well as gender and evaluation. Amongst others she has been working for and collaborating with Michael Succow Fondation, InWent, GIZ, WWF, DUENE e.V., Colibri e.V. ; as well as the Universities of Tübingen, Greifswald (Germany), Bolzano (Italy) and Illia State, Tbilisi (Georgia). Furthermore, she is a member of CoterieCollective, NABU-BAG Eurasien, board member of EVAA and the editorial board of Amirani – Journal of Caucasiology. 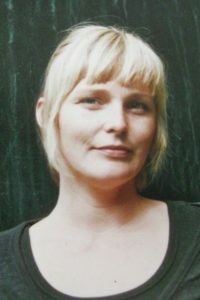 Currently Anja works as a free-lancer consultant, researcher, author, trainer and moderator and as a part-time post-doc within a research project on commons use and management of the University of Greifswald together with Gence Agrarian University in Azerbaijan and Agrarian University in Tbilisi, Georgia. Since 2017 Anja is associate to ESTOK UG.